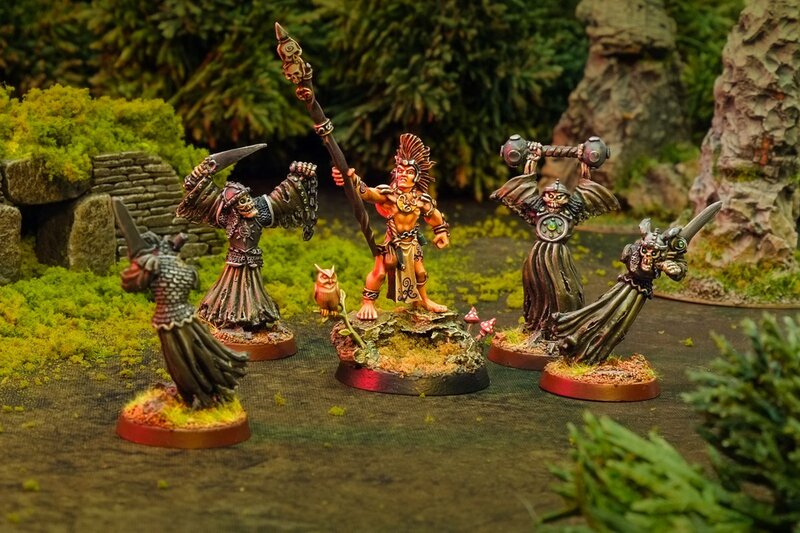 It’s Samhain, so let’s celebrate this Celtic pagan festival with a classic druid miniature. It’s the Albion Truthsayer! Tha a’ bàta-falbhain agam loma-làn easgannan! 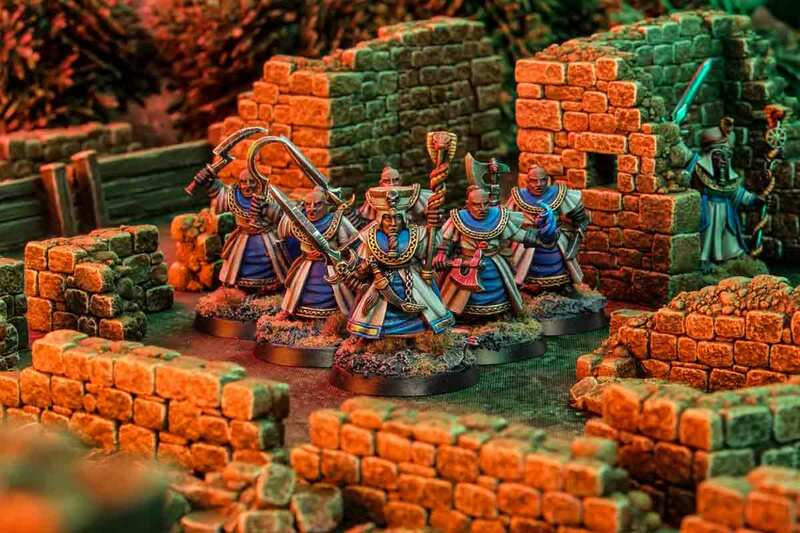 This miniature is a mystery – an unreleased Warhammer treasure from the vaults of Citadel Miniatures. Who is he? Why have I got (perhaps) the only casting in existence? It’s Age of Sigmar time! 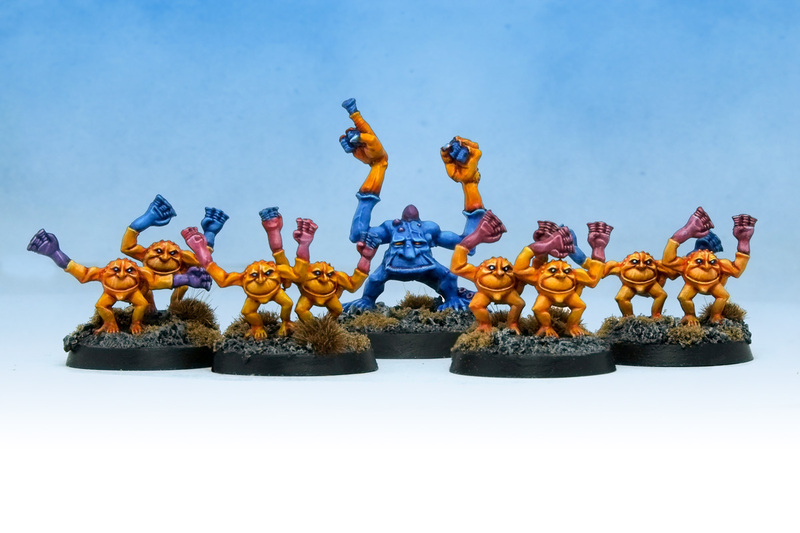 Here’s a nine-strong cluster of Grot Scuttlings from the modern (gasp!) 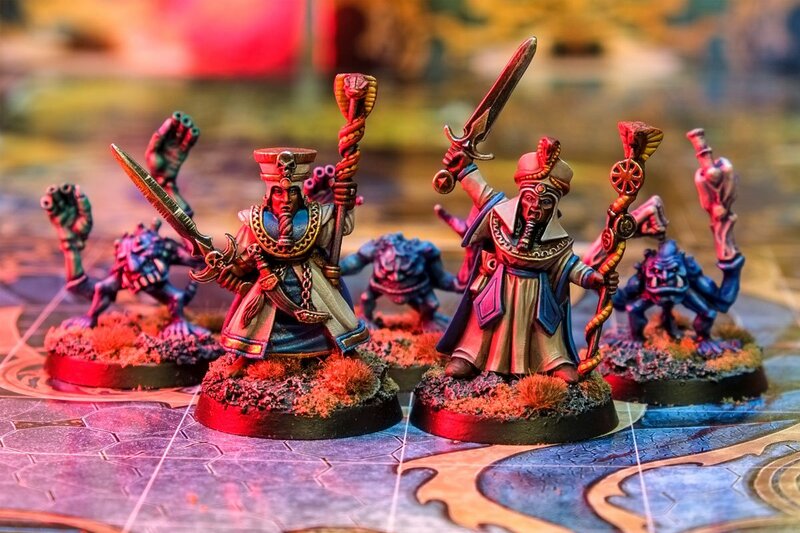 Warhammer Quest Silver Tower game. There’s only eight in the box, but I painted a bonus one as PRAISE BE TO TZEENTCH. I’ve finished painting ALL the Shadespire Orruks! A whole plastic force, fully painted, with modern miniatures, for a current Games Workshop game. WHAT HAVE I BECOME?!?! 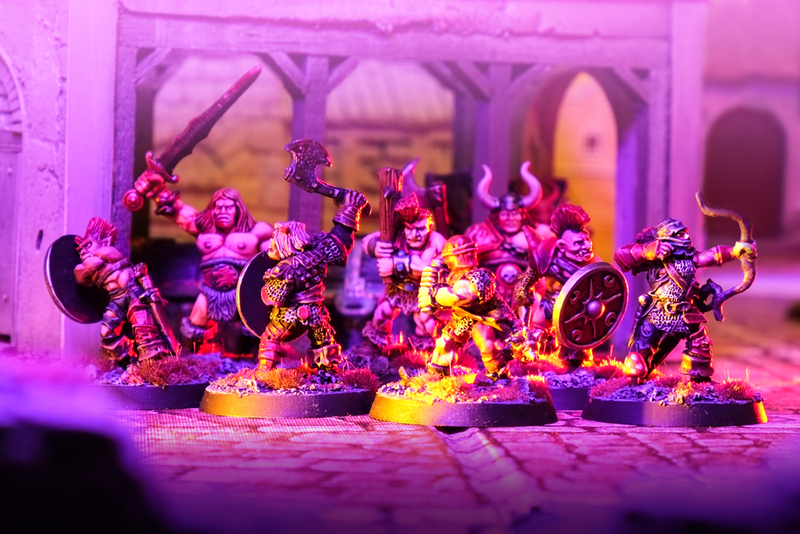 Gods of Oldhammer, I have forsaken thee! A child-aged Curis attempted to paint the single Skaven Clanrat from 3rd edition Talisman. 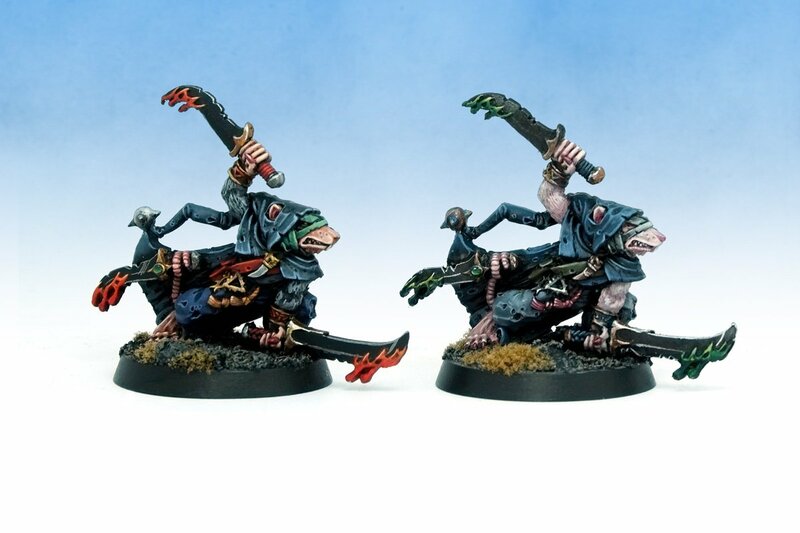 The paintjob went so badly it’s taken over twenty years before an adult-aged Curis returned to painting Skaven miniatures. I like to think of Light Wizards as jobbing professionals and their Acolytes as bumbling apprentices. 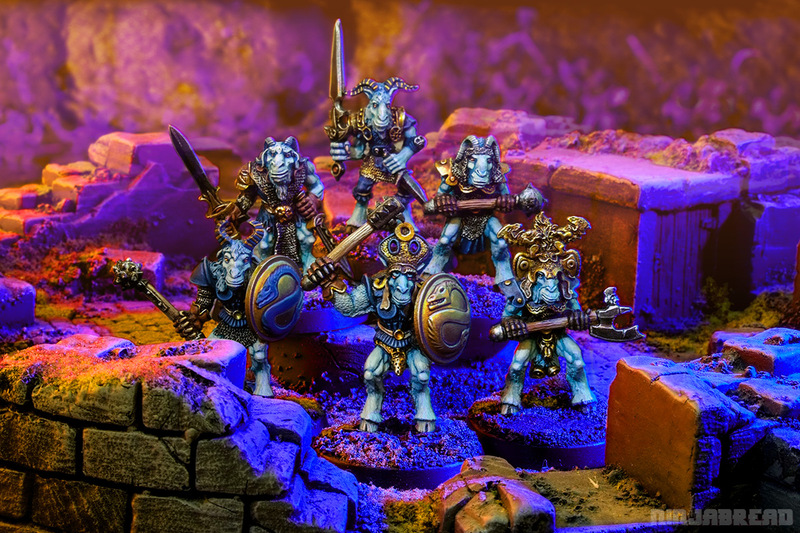 Here’s a bumble of Light Acolytes – one of the obscurest units in Warhammer of editions past. Move over Penn & Teller, move over Siegfried & Roy – a new magical double act is in town. Coming all the way from the pyramids of the Old World are twin brothers Lapis & Lazuli – fantastical Wizards of Light. Brimstone Horrors! The cheeky pairs of scampering bastards you get when you kill a Blue Horror. I’ve painted four sets of these quarter-daemons, but with an Oldhammer twist. 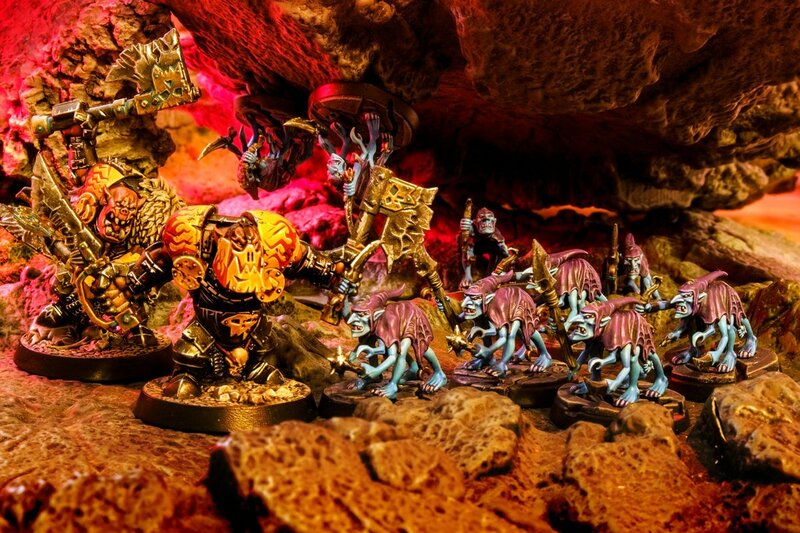 The Citadel Miniatures Chaos Thug range is melting pot of influences and ideas. 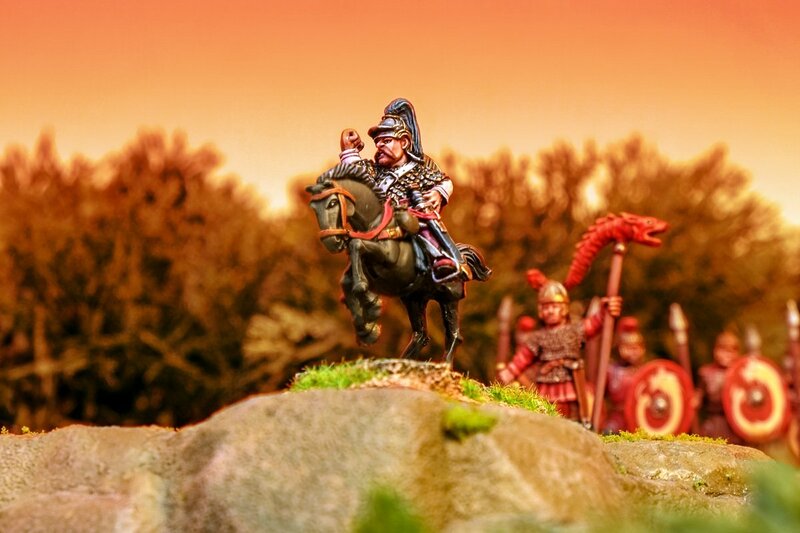 Unlike Games Workshop’s modern Chaos Marauders, who are uniformly bearded barbarians, the classic Thug range had odd chaps with mullets, Saracen-flavoured archers and even stray ninjas. 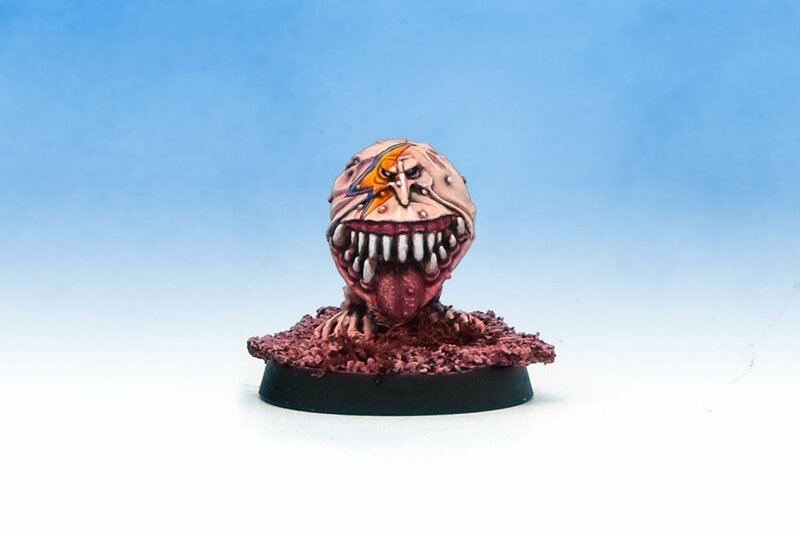 It’s Orctober, and as my initial plan to model and paint a Warhammer 40,000 scale Ork Spleenrippa has stalled, I fired out this David Bowie inspired Squig. Presenting Squiggy Stardust. 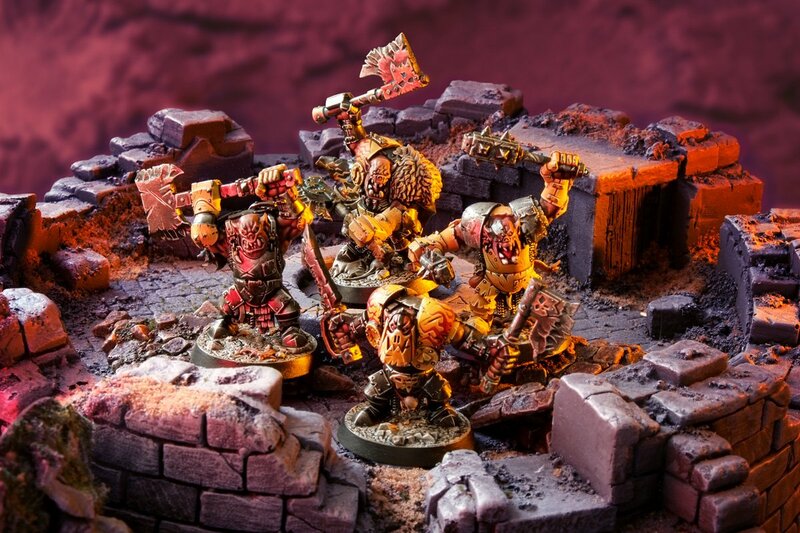 Curis has painted for Games Workshop, Forge World, Warlord Games, Mantic Games, Avatars of War, Wargames Foundry, Studio McVey and many others. He's won at Golden Demon and Salute. He publishes monthly painting tutorials on Patreon. Copyright © 2019 Curis's Ninjabread. All rights reserved.